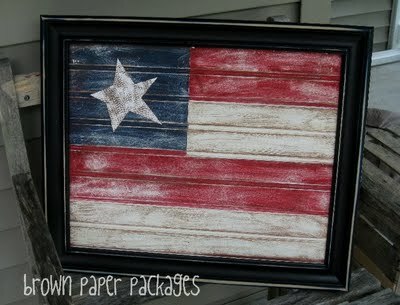 Kierste made these cute flag out of bead board to display over her fireplace. A simple and easy project to get you started on your 4th of July decorating. It is simple enough that your older kids, home from school and looking for something to do, could even make it for you. You can check out the tutorial over at Brown Paper Packages.